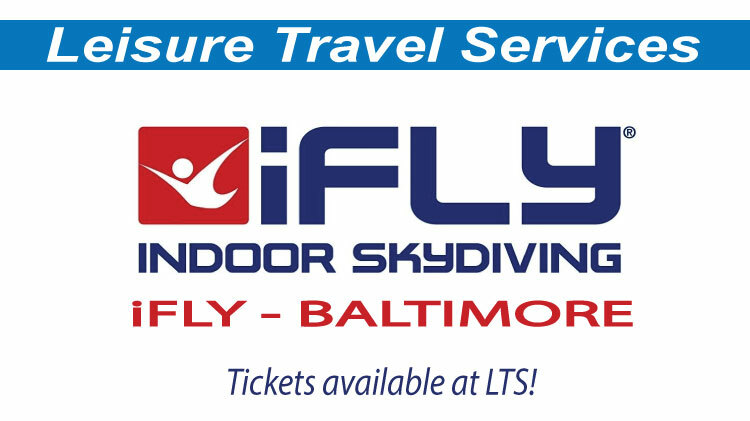 LTS now offers tickets to iFLY indoor skydiving in Baltimore! Experience the thrill of flight for ages 3 to 103! Exclusive Military Earn Your Wings Multimedia Flight Package available for $59.50 ($82.57 at the gate) which includes 2 flights, digital photos and video. Swing by Leisure Travel Services to purchase your flight package today!